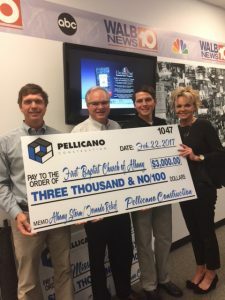 As a result of the devastating storms on January 2nd and the deadly tornadoes that swept through Albany and many surrounding counties in Southwest Georgia on January 22nd, Pellicano Construction wanted to contribute to recovery efforts. 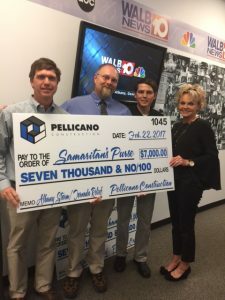 Pellicano Construction here in Albany, as well as our offices in Macon and Atlanta, reached out to business partners, associates and friends soliciting donations to assist in the ongoing relief efforts. 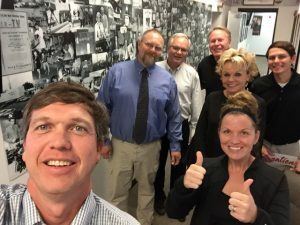 We received just under $17,000.00 in donations from 15 companies locally, around the state, and even out of state. 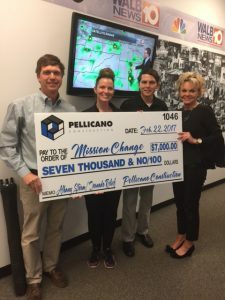 On February 22nd, Pellicano Construction presented checks to 2 local organizations and 1 international organization who has been on the ground serving our community for 50 consecutive days. 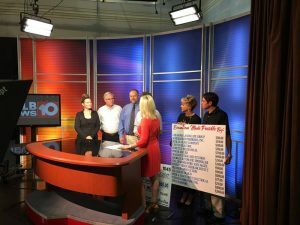 Donations included $3,000.00 to First Baptist Church of Albany, $7,000.00 to Mission Change of Albany & $7,000.00 to Samaritan’s Purse. 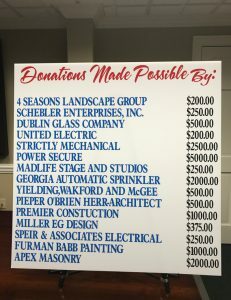 We want to say a huge thank you to everyone who made these donations possible and to all who have served Albany and surrounding communities! !